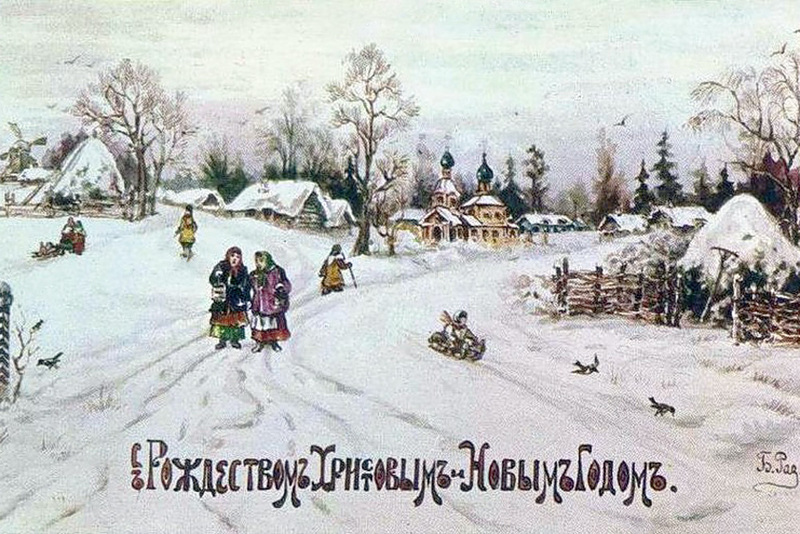 The tradition of sending greetings cards was revived only in 1941 at the onset of the Great Patriotic War. 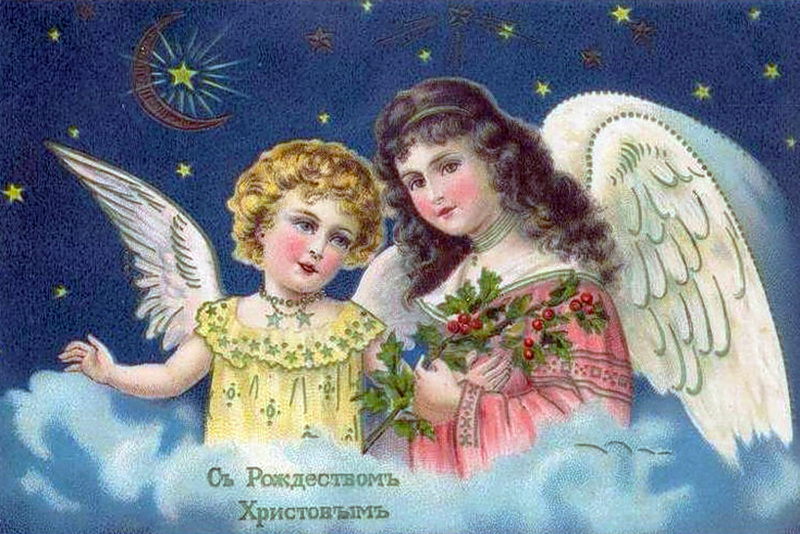 The first Christmas card is believed to have been created by an English artist called Dobson in 1794. 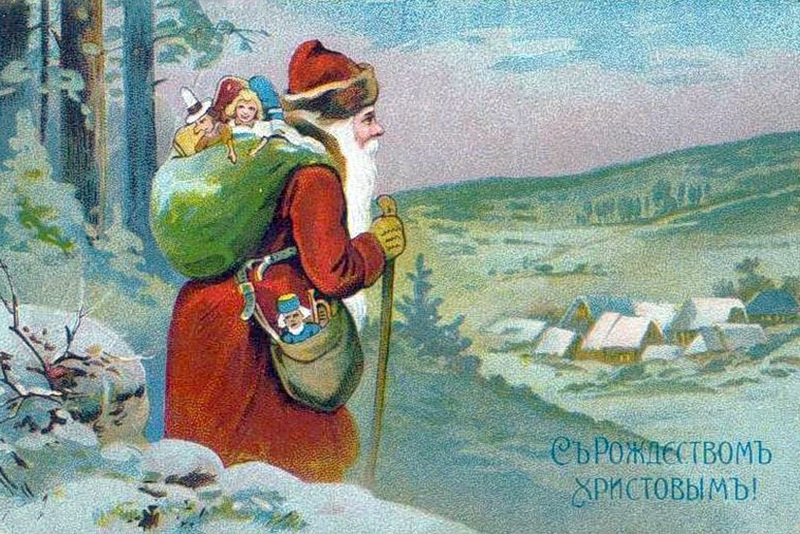 It depicted a family next to a Christmas tree. 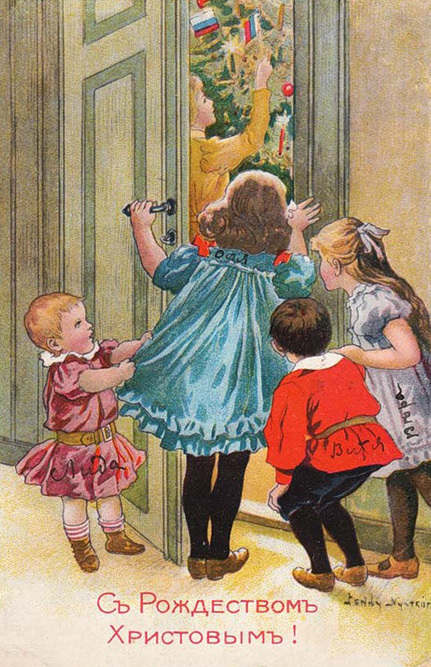 The mass production of Christmas cards also began in England in 1840, when Sir Henry Cole printed some cards that were quickly distributed among his friends. 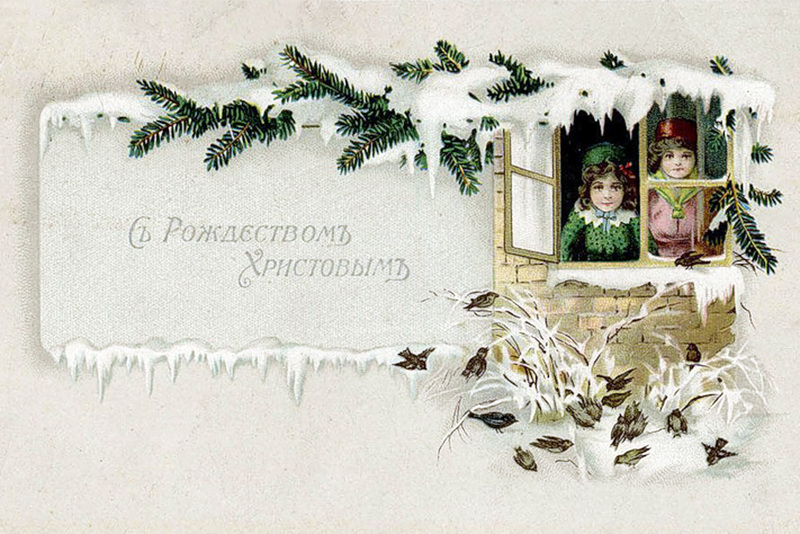 The first Christmas cards in Russia came from England in the 1890s. 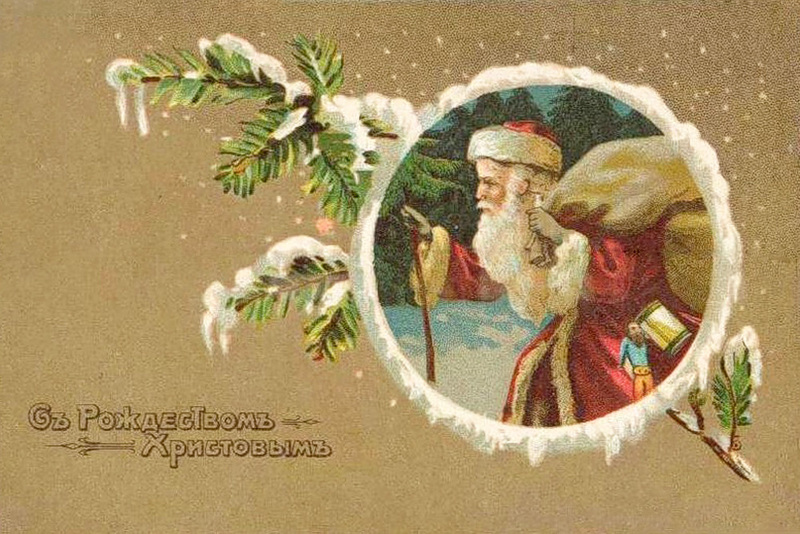 Merchants bought up cards that were blank inside and wrote "Merry Christmas" in Russian. This increased the cost of the cards, which were only affordable to wealthy people. 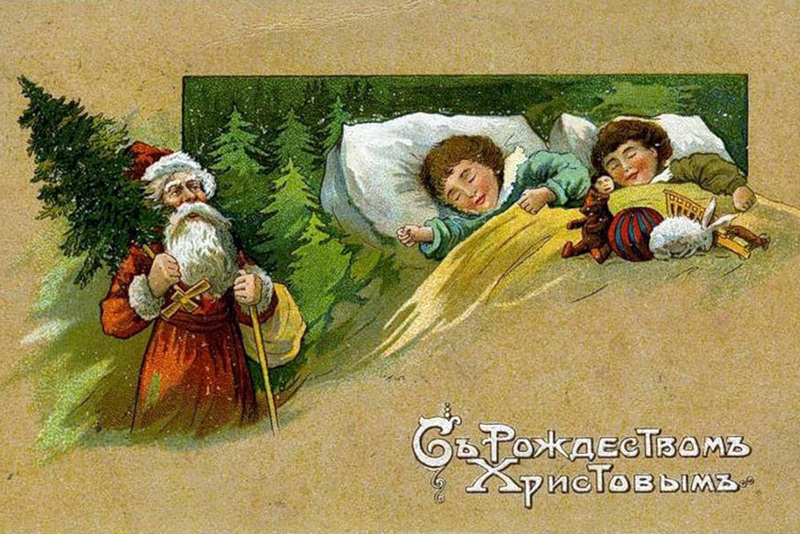 Cards began to be printed abroad, mainly in Germany, ordered by major bookshops especially for Russia. 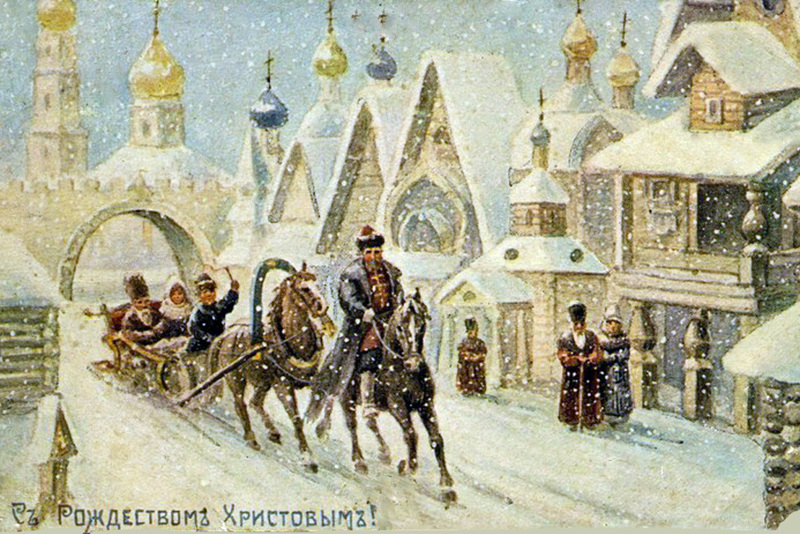 In 1894, the Russian Ministry of Internal Affairs allowed cards to be sent in the mail. 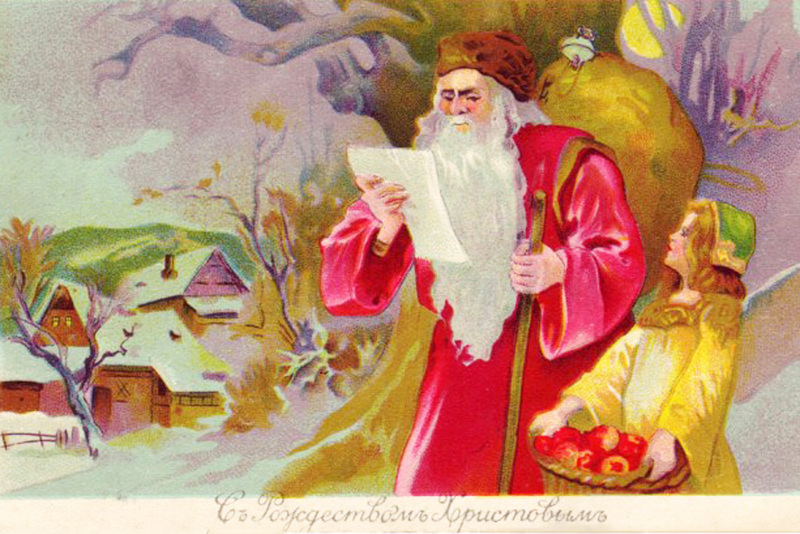 That same year, the first cards were made in Russia itself. 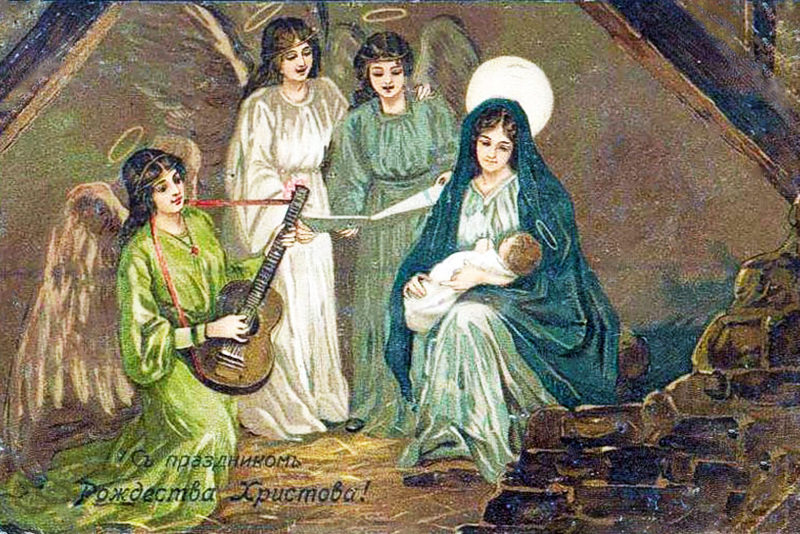 The first Russian Christmas cards were printed for charity by the St. Petersburg Committee of the Red Cross Sisters. In terms of workmanship, cards in pre-revolutionary Russia were in no way inferior to foreign ones, and even surpassed them on occasion. 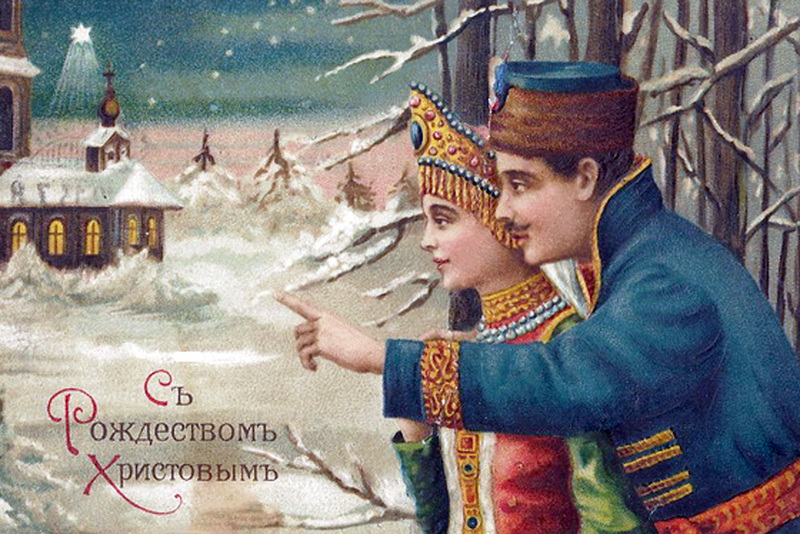 For Russia, cards effectively became a new form of art. 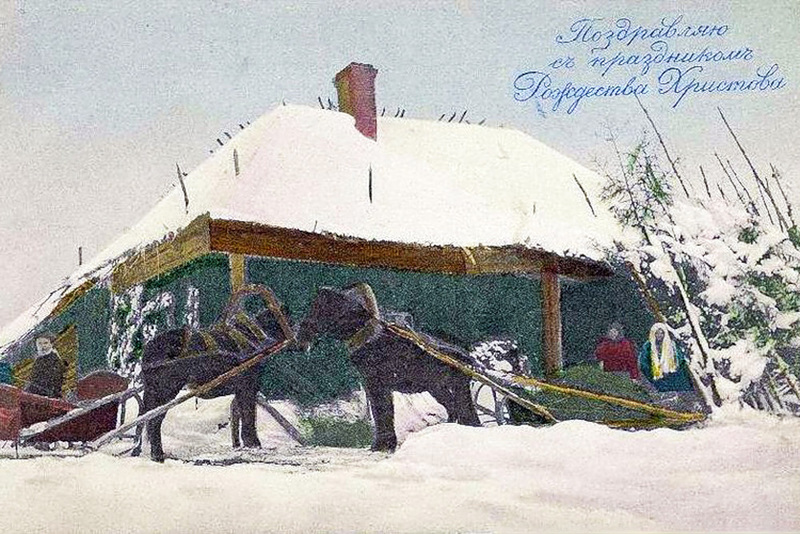 They were used to decorate the home and were displayed in special albums. Of the 23 countries in the Universal Postal Union, only Russia did not conform to the international standard card size (9x14 cm). Russian authorities deemed it unacceptable to curb the imagination of domestic producers. 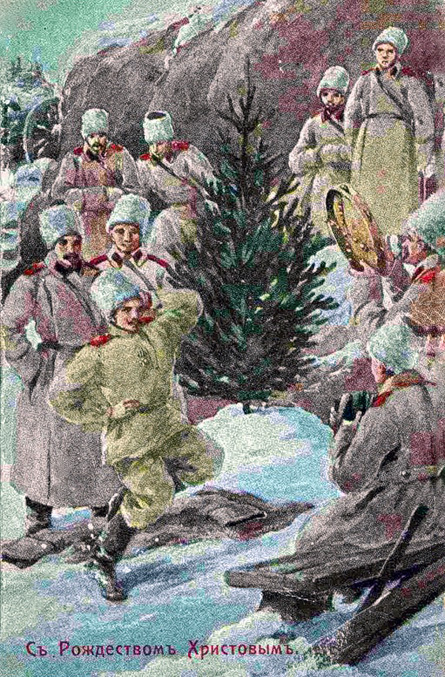 All the major events of the time were reflected on Christmas cards, including the First World War. 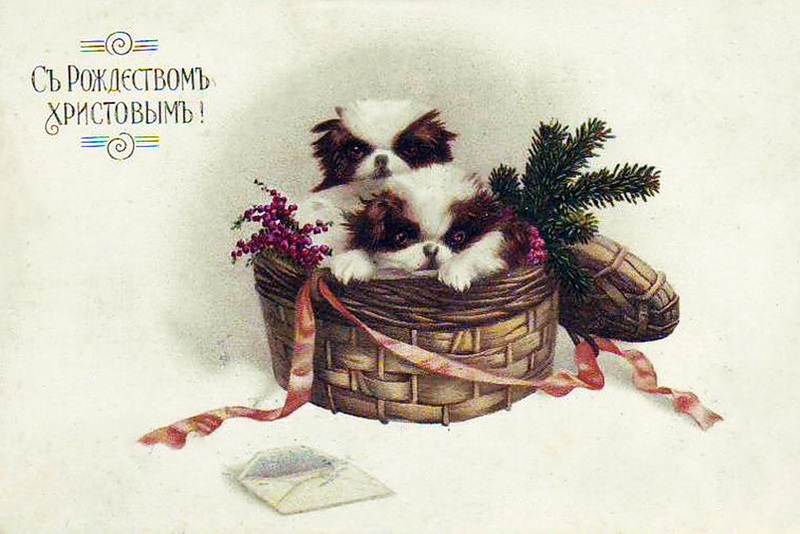 After the October Revolution in 1917, greetings cards were discontinued. 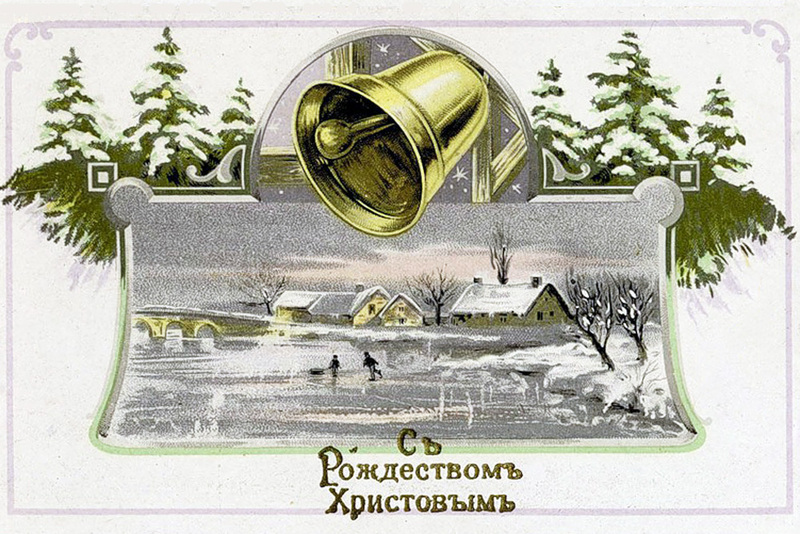 At that time, cards contained only New Year greetings. 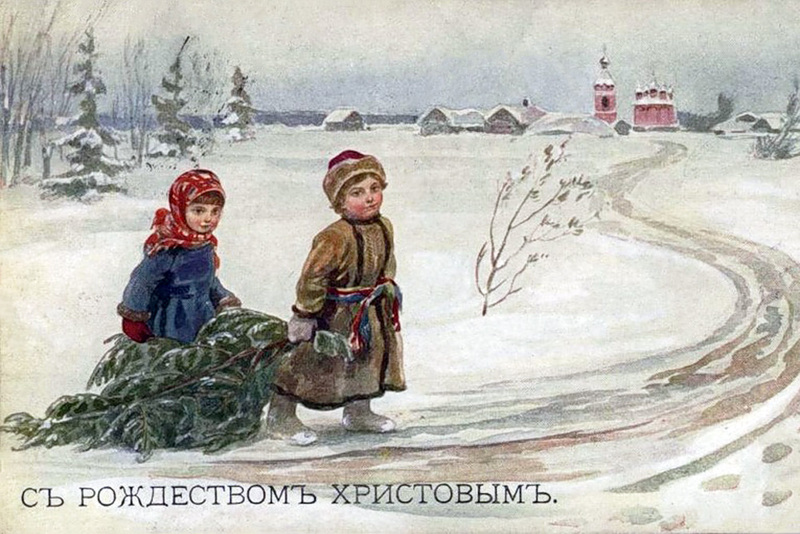 Christmas cards returned to Russia only 20 years ago.